The Total Universe of office space in the Saint Paul Central Business District is 15,649,042 square feet. The Total Universe space has an occupancy rate of 90.7%. This total is divided among Competitive, Owner-occupied and Government space. 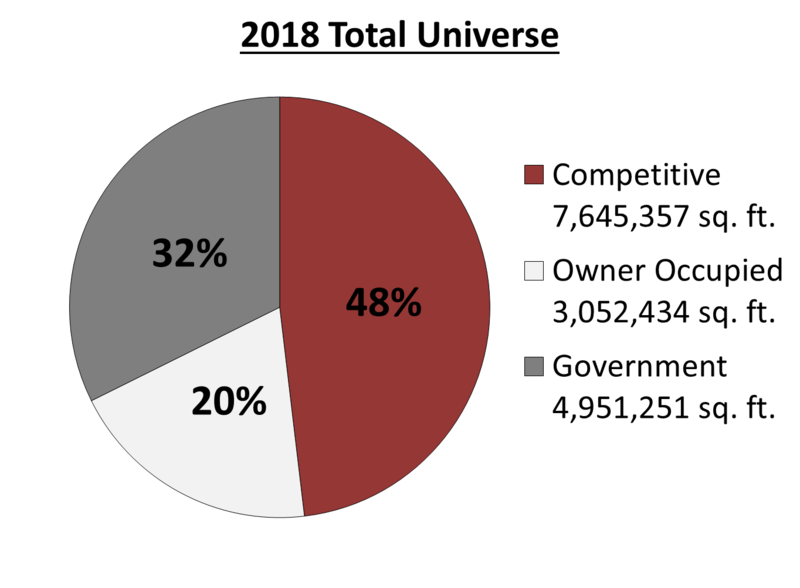 The Total Universe Historical Comparison provides a valuable long term perspective on market trends within these three categories in downtown Saint Paul. In reviewing the current data, several trends are noteworthy. Owner-occupied space, as a percentage of the Total Universe, is unchanged. Government space, as a percentage of the Total Universe, is unchanged. Competitive space, as a percentage of the Total Universe, is unchanged. The total square feet is trending downward.